In a recent survey of over 50s commissioned by funeral plan provider Ecclesiastical Planning Services, respondents commonly answered that they would like their son or daughter to read a eulogy at their funeral service. 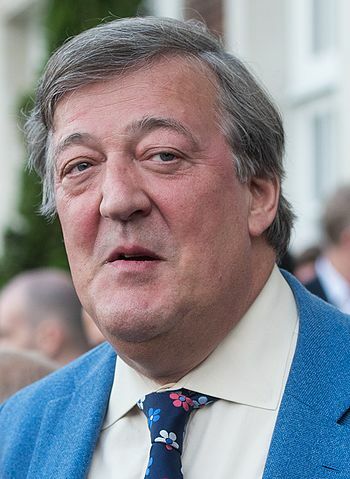 The most popular celebrity eulogiser, however, was academic and TV presenter Stephen Fry. The research conducted by OnePoll asked 1,000 men and women, aged 50 and above, who they would like to read their eulogy if ‘anything were possible’. The results show that most people would choose to have their children speak at their funeral. A large proportion of respondents also answered that they’d like to have a close friend read their eulogy. Several respondents also provided the names of celebrity eulogisers they would like to read at their send off. Of these, Stephen Fry was the most popular. Other popular celebrity answers included world class documentarian David Attenborough, comedian Rowan Atkinson and the character Patsy from the sitcom Absolutely Fabulous.